Businessmen! In an adventure with scientists! Full details of how the £180m Biomedical Catalyst will work have appeared, with events planned for real-life networking between scientists and the business people who hope to commercialise their research. 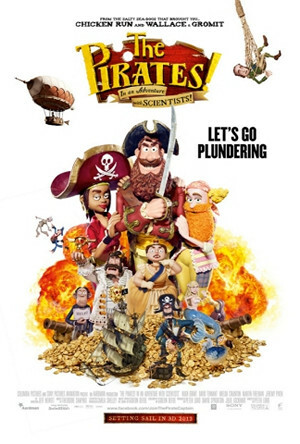 It sounds just like the latest film from Aardman Animations, only with business owners in the role of the pirates. Support through the Biomedical Catalyst is available to UK businesses (SMEs) and academics looking to develop innovative solutions to healthcare challenges either individually or in collaboration… Support will be available for projects arising from any sector or discipline that are aimed at addressing healthcare challenges… The Biomedical Catalyst will seek to support those opportunities which demonstrate the highest scientific and commercial potential irrespective of medical area. Potential applicants are no doubt advised to go to one of the two networking events, planned for 15 May in Edinburgh and 17 May in London. Topics will include leveraging private investment and exploitation in the NHS (presumably not of this variety). We’d love to hear from anyone who attends one of these events and has an opinion on how the fund is being allocated. MRC intends to align its current funding mechanisms under the Biomedical Catalyst, and in due course subsume some or all of them into joint processes with TSB ensuring that the existing range of research is still supported.